01. kya is dfa 9th aur 10th k annual examinations mein theory k sath practical k sawal b aye ga k nein? 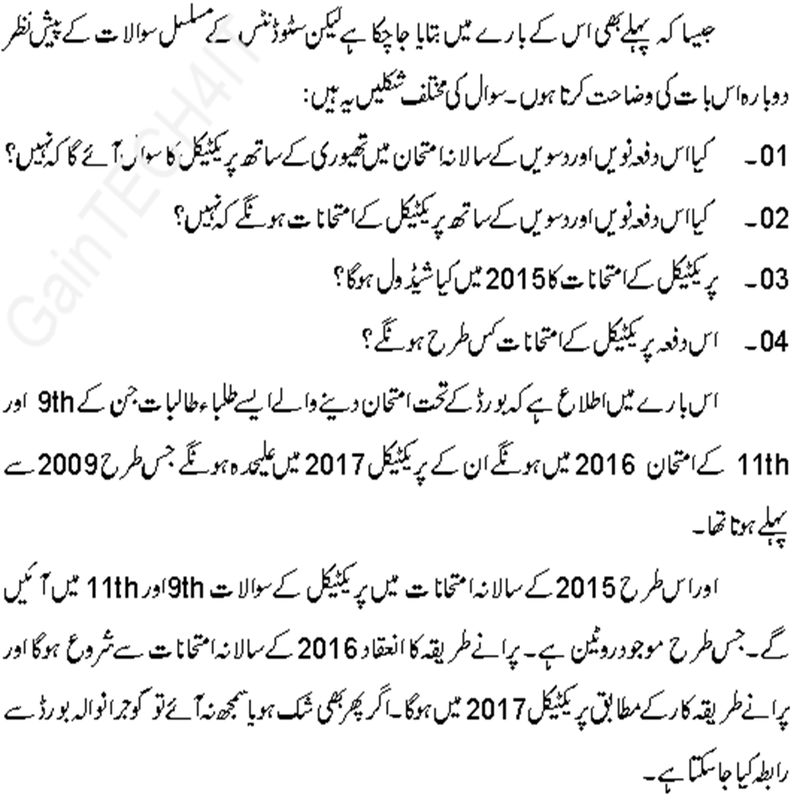 02. kya is dfa 9th aur 10th k sath practical examinations hon gay k nein? 03. 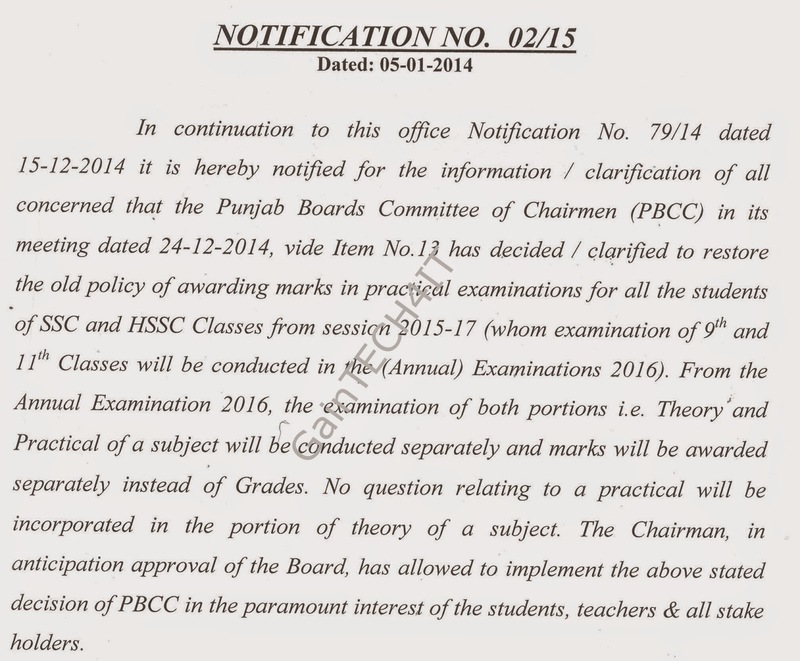 Practical examinations 2015 ka schedule kya ho ga? 04. Is dfa practical examinations kis tra hon gay? Is barte mein itla di jati hey k Board k teht exams mein shirkt krne wale ase Students Both Male and Female jin k exams 2016 mein hon gay aur registration 2015 mein, un k practical exams 2017 mein Seperately hon gay, js tra 2009 se pehle hota tha.